Since the summer, I’ve been meaning to write about the latest trend in arts programming. It goes by various names—funchitecture, #instatecture, spectacle art, or the quainter (and more judgmental?) “follies.” Whatever you call it, go to any big-city art museum these days and there it is. You can wander through a giant maze, whizz down a two-story slide, bliss out in an immersive light show. Is it art? Who cares: It’s fun. My friend Kriston Capps, an astute critic, has been tracking and bemoaning the phenomenon, and I just went to two shows replete with fun—in two different cities—in the space of a week. When is it okay to have fun at a serious cultural institution, and how much is too much? At what point does public engagement become gimmickry? Ideally, every museum director would ask him- or herself these questions before commissioning a fun-stallation. Does the exhibit prompt us to question the meaning and uses of fun, and establish a clear, intelligent dialogue with other art? Yes: Fine. Have a blast! The show I saw yesterday is a good example of when some rigged-up gallery fun is okay—more than okay—because it complements the spirit of the art on the walls. Hippie Modernism, at the Walker Art Center in Minneapolis, is about freewheeling design subcultures of the 1960s and ’70s. Because the show explains the artistic, political, and spiritual dimensions of works that deploy humor and draw on pop culture, it enriches the concept of “fun” at the same time that it invites us to climb inside a van or swing in a hammock. More power to you, Walker Art Center. If the answer to the last question was no: Will the exhibit direct a *significant* number of visitors to other, more content-rich areas of the museum? Yes: The end may justify the means. No: Don’t resort to this unless your institution really needs the money, and try not to make a habit of it. Be honest here. How many of the people who wait in line to jump into a big ball pit are really going to proceed to a show on Quonset huts or Brazilian furniture design? The answer is not many. However, on my visits to Snarkitecture’s The Beach at the National Building Museum last summer, signs were mixed. Some people clearly were going upstairs to check out the Hot to Cold exhibit by BIG (Bjarke Ingels Group). One reason: the architectural models were suspended over the museum’s Great Hall, which piqued visitors’ interest. But I still can’t imagine more than a small fraction of the people who jumped in the pit also saw the BIG show. Is your city already saturated with spectacles? Yes: Then it doesn’t need another. No: One or two might be all right. Like everything else, Insta-tecture obeys the law of diminishing returns. At first, it’s a welcome chance for people to relax, see a new side of a cultural institution, and experience art or architecture in a different way. (And snap great selfies, of course.) But it starts to wear thin fast. Maybe I’m biased, but I tend to go easy on spectacles in D.C., because this is a buttoned-up, neoclassical town and spectacles are fewer here than in London or New York. At least, they were—Wonder at the Renwick comes hot on the heels of The Beach. I hope Washington museums won’t look to MoMA, with its run of flashy and critically panned (but lucrative) spectacles, as a model. 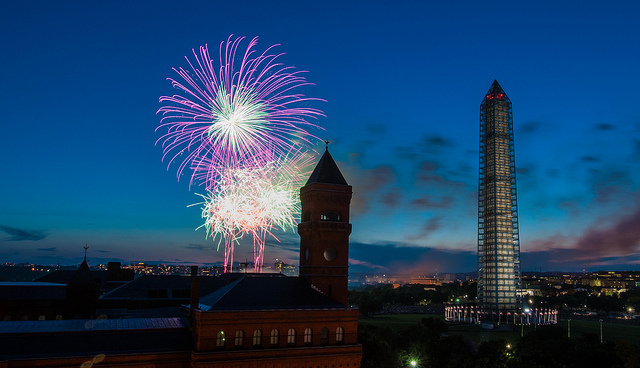 I also hope the National Building Museum keeps putting on high-quality shows like Hot to Cold and Unbuilt Washington to balance out its summer entertainment. In fact, it really ought to organize more of them with all those folly proceeds. Wonder is pretty fluffy stuff. The introductory wall panel says it’s intended to showcase the Renwick’s new renovation, and true, a show this lightweight can’t compete with the grand building that houses it. But I’m willing to give the museum the benefit of the doubt. Let’s hope the next show gives us more to think on. Finally: Is a celebrity attached to the project? No: At least there’s that. Celebrity-driven art spectacles are the worst! Enough said. Maybe I should have titled this post “Discovering Peter Blake” instead, because although I’d heard the name, I didn’t know much about the man until recently. Over the years I’d come across scattered references to God’s Own Junkyard, Blake’s 1964 jeremiad against “the flood of ugliness engulfing America”—the tide of billboards and neon and tract houses unleashed during the postwar building boom. Robert Venturi invoked God’s Own in his classic Complexity and Contradiction in Architecture, which appeared two years later, and which I re-read a few weeks ago. 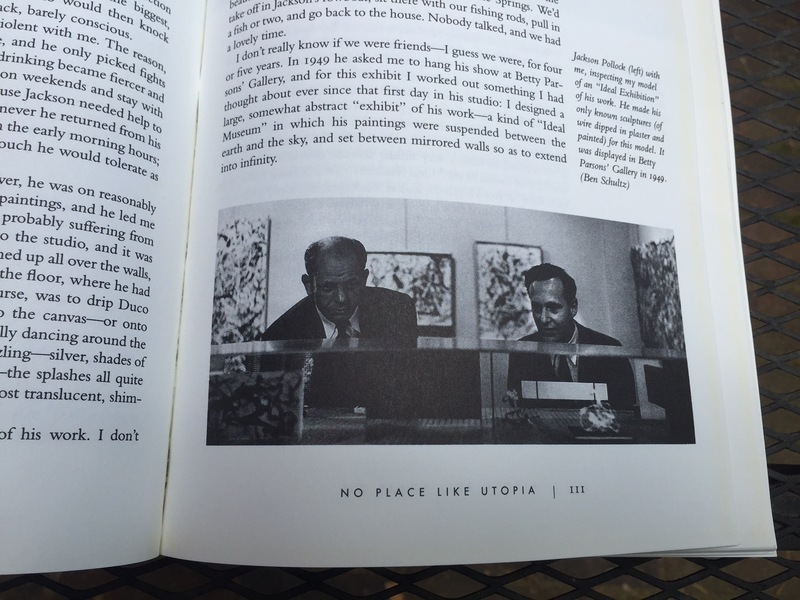 This time, I was sufficiently intrigued to buy a copy of Blake’s book online, along with No Place Like Utopia, his architectural memoir, if that’s the best way to describe it. Who was Peter Blake? First off, he is not the pop artist Sir Peter Blake, who designed the cover of the Beatles’ Sergeant Pepper. This Peter Blake was born Peter Blach in Germany in 1920. His father was the head of a public utility company, and he grew up wealthy in Berlin, with an English governess and chauffeur. That changed abruptly in 1933. The Nazis removed his father—who was Jewish—from his job, confiscated all his property, and expelled the family from the country. It was very fortunate, in retrospect. The story of Blake’s early years, at least as it is told in No Place Like Utopia, is that of an almost preternaturally lucky young man. Blake wants to become an architect: good thing his father happens to know Walter Gropius, who secures him an internship with Serge Chermayeff in London. Later, while studying at the University of Pennsylvania, Blake is hired by a still-obscure local architect, a “sweet, romantic, hopelessly impractical, and slightly incomprehensible dreamer” named Louis Kahn. At a party one night, Blake meets a girl; she is working for an English family that lives nearby, and lo and behold, the family is that of the great philosopher Bertrand Russell. All of this would start to grate if Blake wasn’t so charming and didn’t have such juicy anecdotes about the luminaries he keeps bumping into. As a very junior writer at Architectural Forum magazine, Blake decides to write an honest review of Frank Lloyd Wright’s newly published autobiography, which he finds pompous and turgid. He leaves the draft on his editor’s desk and goes to lunch. In the meantime, the Great Man himself—routinely fawned over by the magazine’s senior editors—sweeps into the magazine’s offices and finds it. After the war, in which Blake serves as a U.S. intelligence officer, he meets Philip Johnson at a cocktail party in the Hamptons. Weeks later he is speaking on a panel at MoMA at Johnson’s invitation. Afterwards, Johnson and MoMA’s director, Alfred Barr, take him out to lunch: Would he like to become the museum’s new architecture curator? Blake still doesn’t have a degree, and he’s not quite sure what a curator does. But he accepts. Many of Blake’s best stories are about Johnson—who was arrogant and bitchy, he concedes, but also charming, brilliant, and capable of surprising generosity—as well as Mies, Kahn, “Lajko” Breuer, and his Architectural Forum colleagues (he returned to the magazine after a stint at MoMA), many of them European emigres like himself. Blake’s critical judgments have aged well, too, for the most part. He saw that Wright was a genius as well as a megalomaniac. He recognized the brilliance of Paul Rudolph, and would no doubt be distraught to see many of Rudolph’s buildings threatened with demolition today. He admits that his first impression of Lewis Mumford was utterly wrong (he thought he was a fuddy-duddy) and that it took him a long time to grasp the importance of Jane Jacobs. God’s Own Junkyard is an entirely different sort of book. In the foreword, Blake explains that it “was not written in anger. It was written in fury.” It is a blistering indictment of the uglification of America’s landscape in 150 pages, many of them given over to photographic evidence of the crass billboards and gimcrack architecture that Blake believed were ruining the country. There is a clear precedent in Ian Nairn’s “Outrage” issue of the Architectural Review, published in 1955, an indignant chronicle of the “subtopia” that was swallowing Britain, according to Nairn. The funny thing about reading God’s Own now, though, is that many of the places in the photos look…not that bad? And even kind of good. Venturi himself points this out in Complexity and Contradiction. “The pictures in this book that are supposed to be bad are often good. The seemingly chaotic juxtapositions of honky-tonk elements express an intriguing kind of vitality and validity…”. 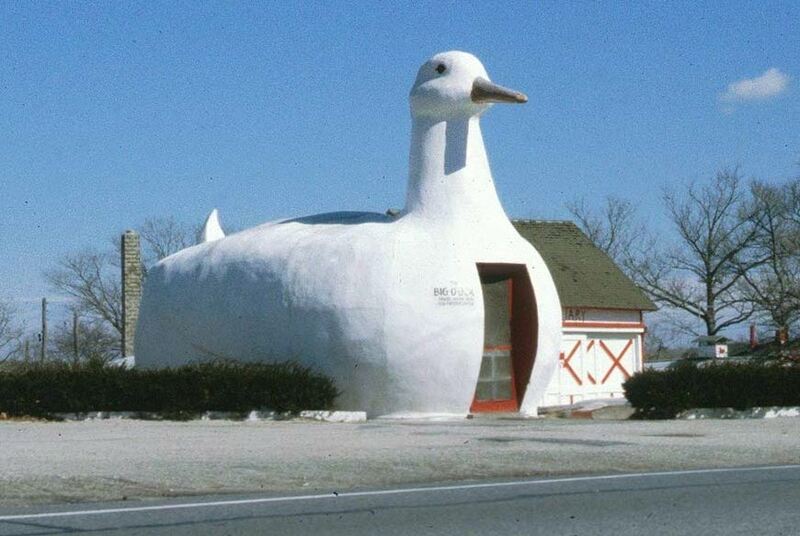 One building in Blake’s rogues’ gallery stands out: It’s the Big Duck, the bird-shaped building built by a duck farmer on Long Island to sell, fittingly, ducks and duck eggs. Blake doesn’t comment on it, his preferred strategy being to let the photos speak for themselves. But the result of him including it was not what he anticipated. Even in Blake’s time, the duck was a beloved piece of Americana (it’s now listed on the National Register of Historic Places) and would have made most readers smile, not howl in outrage. Venturi was clearly a serious and thoughtful critic of the Modern Movement. 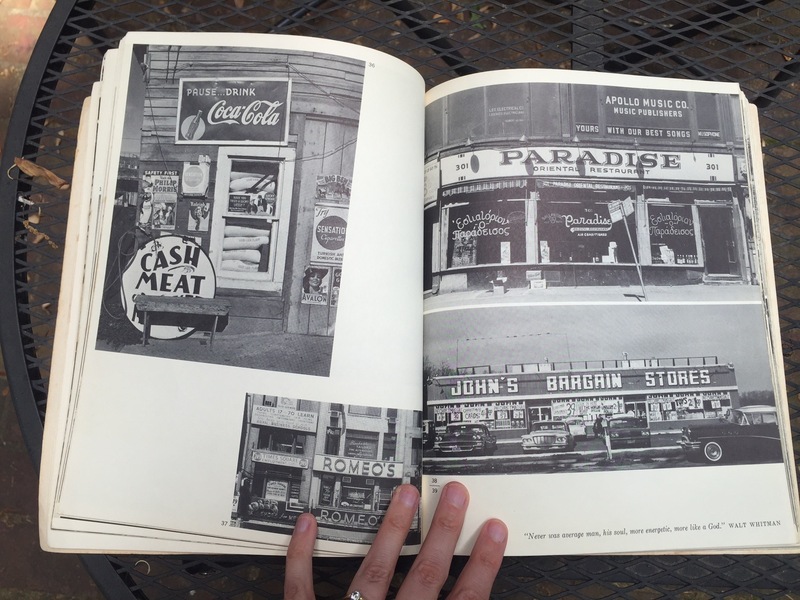 He was also a witty one: I had recently published a book entitled God’s Own Junkyard in which I attacked the sort of commercial vandalism that was destroying the American landscape and townscape. 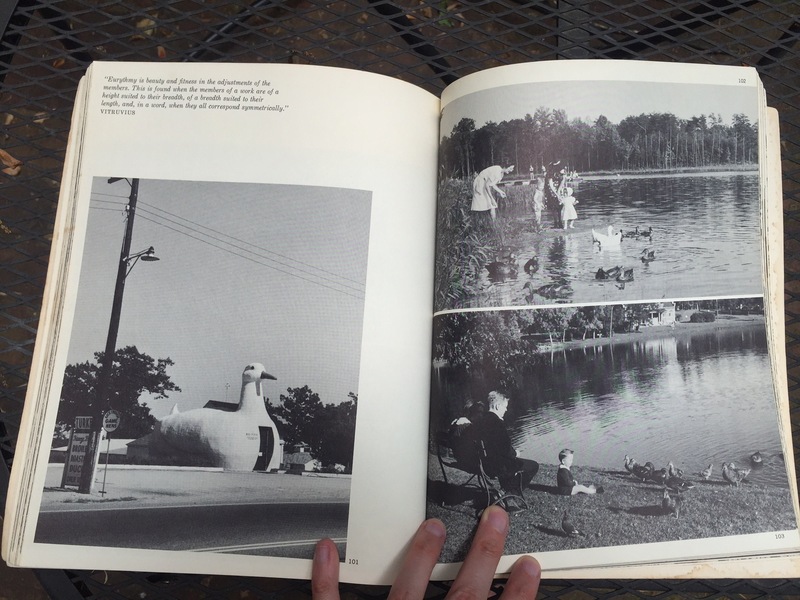 Most of the book consisted of photographs of what to me seemed exceptionally vulgar examples of this sort of vandalism—and these were contrasted with examples of natural and manmade environments that struck me as idyllic and increasingly threatened by vulgarians. One of the “vulgar” examples I showed was the Big Duck near Riverhead in Eastern Long Island, an area which I had come to know very well and to cherish before it was yuppified by rich summer people; and the Big Duck was a store for the sale of dead ducks and their postmortem by-products. I must confess that I laughed out loud the first time I read this definition of the Parthenon. Within a year or two of the appearance of God’s Own Junkyard (in 1963), to the applause of thousands of do-gooders, I had begun to realize that my view in writing the book had been more than a little narrow and obvious, and that I had shown almost no interest in popular imagery or, for that matter, in the increasingly visible images of Pop Art. Venturi made off with the whole basket of duck eggs, in the end. Blake died in 2006, at the age of 86. I’d like to read his articles in old issues of Forum as well as New York magazine, where he wrote an architecture column. He was the dean of the architecture school at Catholic University in later life, and complained that Washington was a cultural wasteland (it was the early ’80s, so he was probably right). As a former architecture-magazine editor and a Washingtonian myself, I can’t help but feel a sense of kinship with Peter Blake, and wish he were better known. Last week I wrote an article for CityLab arguing that the “dying malls” phenomenon is exaggerated—most American shopping malls are doing fine, and the higher-end ones are doing very well indeed. 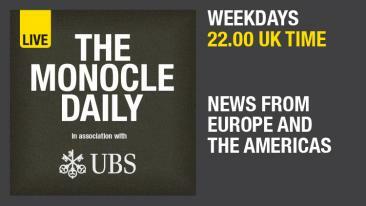 The story got picked up by Monocle’s radio station in London. Yesterday, I talked to the host of The Monocle Daily about why those dead-mall photos are so powerful, and why building a big new shopping mall in Miami is not, in fact, a crazy idea. You can listen here if you like (the segment starts at about 27:40).